The ‘694 patent describes a game many of you may know (or love?? ), Dance Dance Revolution (“DDR”). 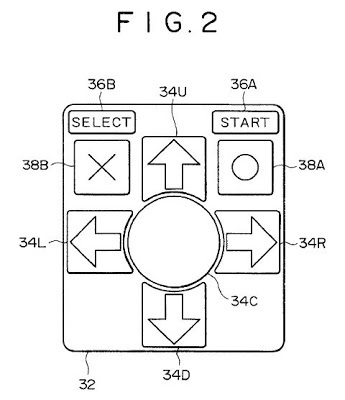 The patent describes the game machine which allows players to step in different positions in time with the music, and describes the game as a good form of exercise because of the energy expended by the player during game play. The patent allows for obtaining the player’s weight and calculating the accumulative energy consumption while playing the game. To evaluate a game playing performance from a new point of view, a control method for controlling a game machine allowing a player to enjoy stepping while listening to game music, comprises the steps of detecting whether or not the player puts their foot or feet on each of a plurality of step positions; judging, based on a detection result on the step position, according to which, of a plurality of pattern changes, a state of the player’s feet relative to the plurality of step positions has changed to; calculating, based on the determined pattern change, an energy consumption amount due to a change of the state of the player’s feet; calculating an accumulative energy consumption amount by accumulating an energy consumption amount calculated after a predetermined timing; and reporting the accumulative energy consumption amount calculated to the player.